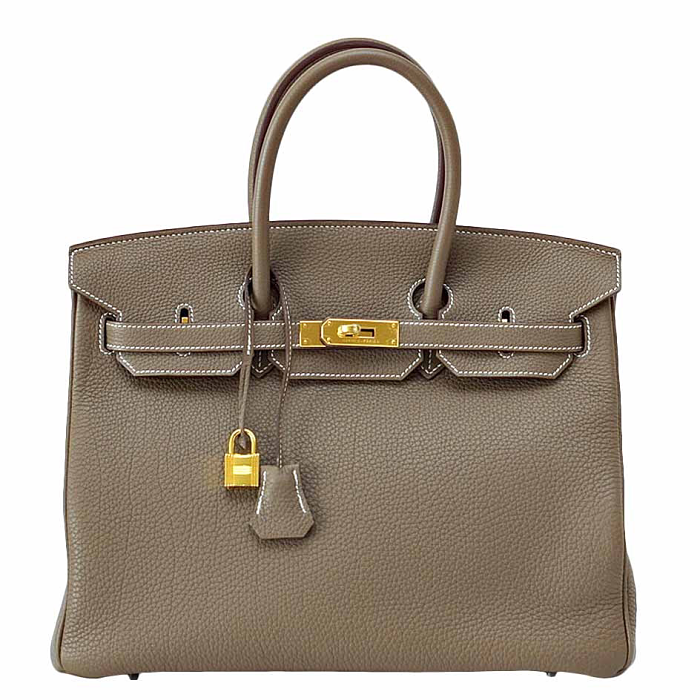 Birkin bags, which are considered collectors' items, have long been a status symbol in the luxury community. For starters, reflecting high demand, the bags (in any fabrication or colorway) cost upward of $10,000. If that’s not enough of a roadblock to most prospective buyers, new versions are only sold in Hermès stores to an undisclosed list of clients who have been assigned VIP status by the brand. That strategy seems to be working. According to Bag Hunter, the Birkin has increased in value by more than 500% in the past 35 years, earning more than six times the return than that of gold. Luckily for the brand, fashion icon and muse Jane Birkin, for whom the classic was named, pulled a 180 on her POV earlier this year, granting Hermès the continued use of her name for the coveted design. Should you be saving up to purchase a lightly used Hermès Birkin bag of your very own, Bag Hunter is selling quite a few authenticated variations. Keep scrolling to see one of the website's non-exotic offerings, plus two options we spotted on sale at other trusted online resellers. Sorry, but they are all still incredibly expensive. How much would you spend on a luxury handbag? Do you care about the increase in value over time? Let us know what you think in the comments!